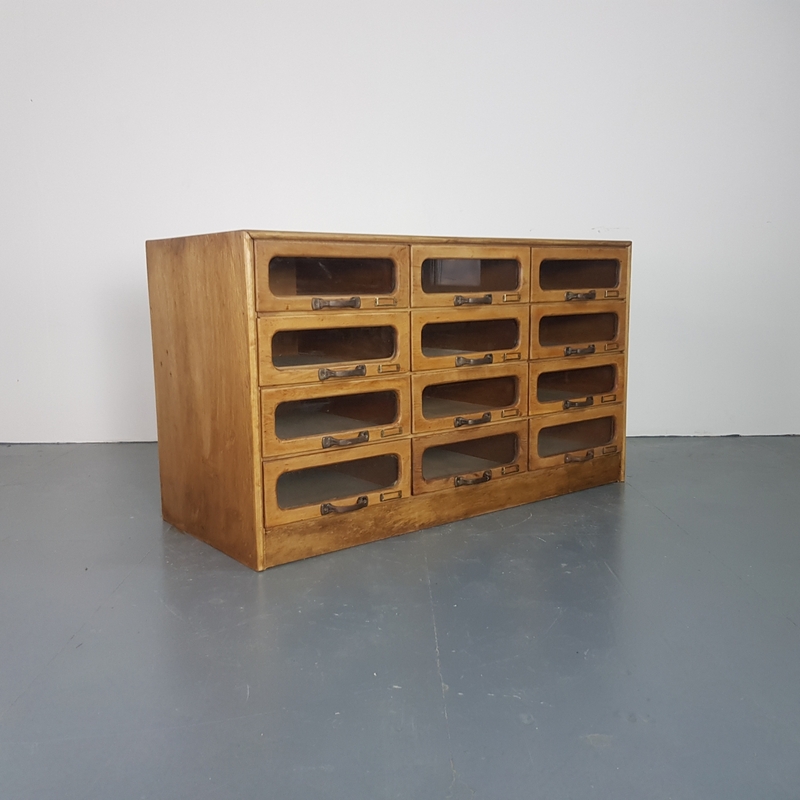 Lovely 12 drawer haberdashery shop cabinet from the first half of the last century. It has 12 glass fronted drawers, all with original metal D handles. Drawers: 36cm W x 44cm D x 12cm H.
Please bear in mind this has come from a working shop and is from the middle of the last century so it has evidence of age and use. The drawers open and shut smoothly.